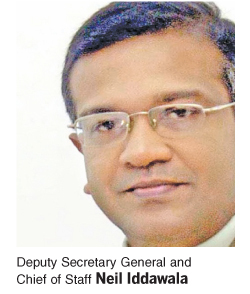 The Secretary General of Parliament and his staff will have to act in accordance with the Gazette issued by President Maithripala Sirisena, Deputy Secretary General Neil Iddawala said yesterday. He stated that when Parliament reconvenes, they would have to refer to the Standing Orders and other existing laws of Parliament when tackling any possible issue. Parliament which had earlier been prorogued till November 16 is to be convened on November 14 as per the Gazette issued by President Sirisena. Iddawala added that the Parliament staff including the Sergeant-at-Arms are of the view that they should all abide by the Standing Orders of Parliament and the Gazette notification reconvening Parliament on November 14. Legal experts as well as former Speakers Joseph Michael Perera and W.J.M. 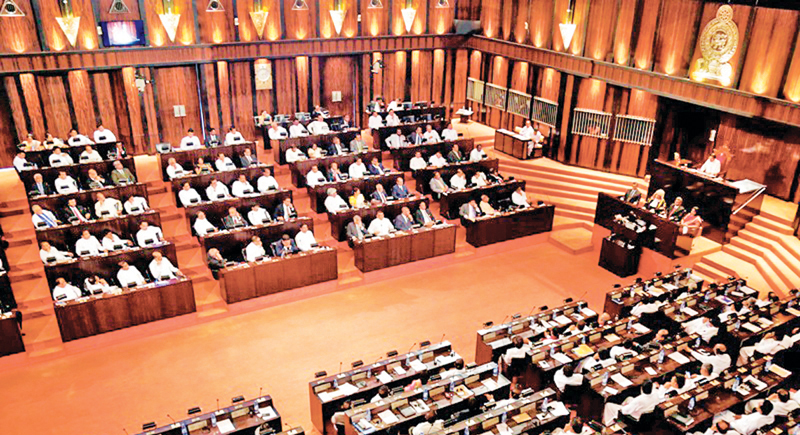 Lokubandara have pointed out that only the President and not the Speaker has the sole power to prorogue and reconvene Parliament. Constitutional experts have said the Speaker’s attempts to convene Parliament before this date was unconstitutional.